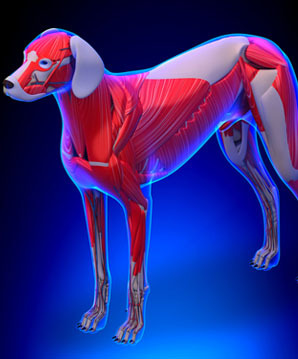 Commonly referred to as a `pulled` muscle – painful, debilitating and can negatively affect a dogs quality of life. A strain is an injury to the muscle and tendon that results from a quick twist, pull or sudden movement that the body is simply unprepared for and so is unable to cope. As the muscle is forced to over contract and over stretch the fibre in the muscle and the tendons they attach to the bones by come under immense pressure that they simply cannot cope with. But don`t be fooled by the simplistic explanation; this is a debilitating and painful condition that commonly goes undiagnosed or is simply referred to as a soft tissue problem. Imagine that you are holding an elastic band and you keep stretching and stretching it. At some point when it can stretch no further it will snap. This is basically what happens with your dogs muscle and tendon, and if you have ever experienced an acute strain yourself you will know how painful that can be. When your dog pulls a muscle they will feel a sharp pain and may let out a yelp or cry and come back to you hobbling, limping or whimpering. This feeling is quickly followed by a wave of nausea. After the initial injury your dog will experience pain, bruising, inflammation, pain and weakness and will most likely show signs of depression with some also going off their food and simply not behaving like their normal selves. 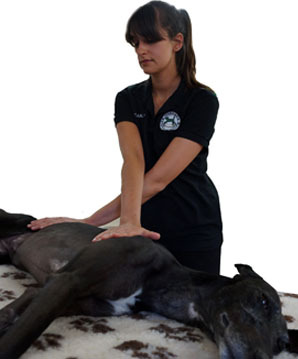 Your vet will often suggest soft tissue damage but cant always put their finger on the actual area of injury. 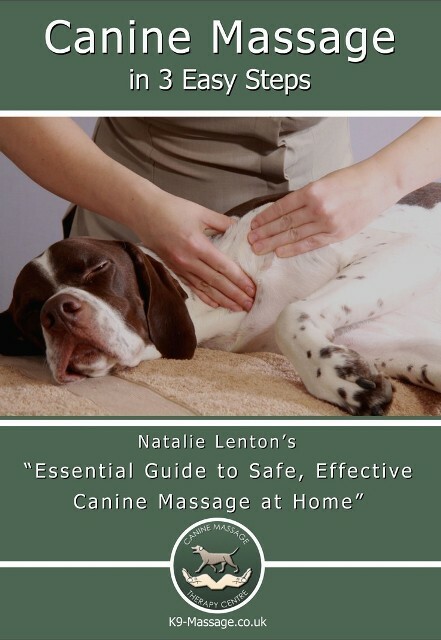 It is my job to quite literally put my finger on where the pain is so we can do something about it; ask your vet about massage download your referral form here. Massage is one of the only modalities to actually help in the restructuring of damaged fibres and torn tendons and I believe is the ultimate treatment for a strain. Having had a chronic strain (rupture) myself in the past resulting in a golf ball sized piece of scar tissue in my lower back it is only as a result of intensive and regular massage from my human therapists that I am able to do normal everyday activities (as well as a physical job!) so speaking from vast experience of this matter (which went undiagnosed by my doctor) I can honestly say that massage is the best treatment option possible for this debilitating and reoccuring injury. Call today for your free consultation. It may just be the best thing you ever did to help your dog.